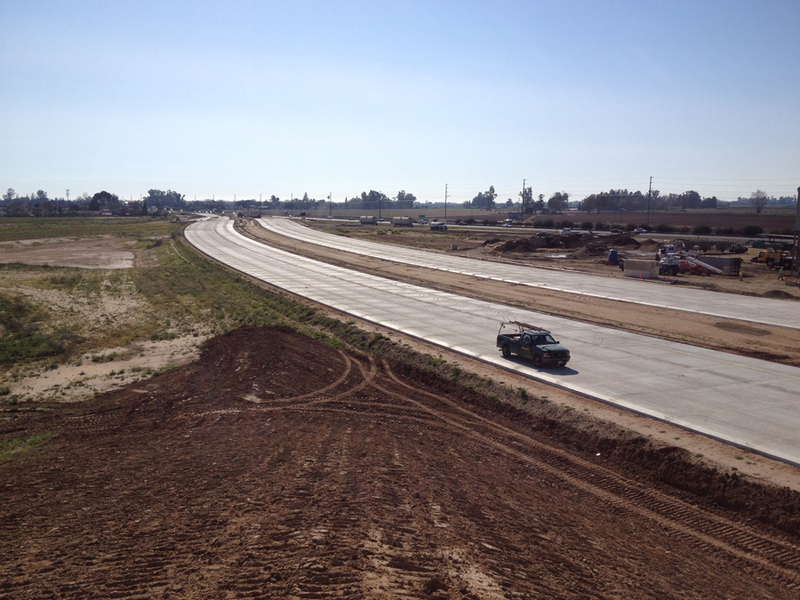 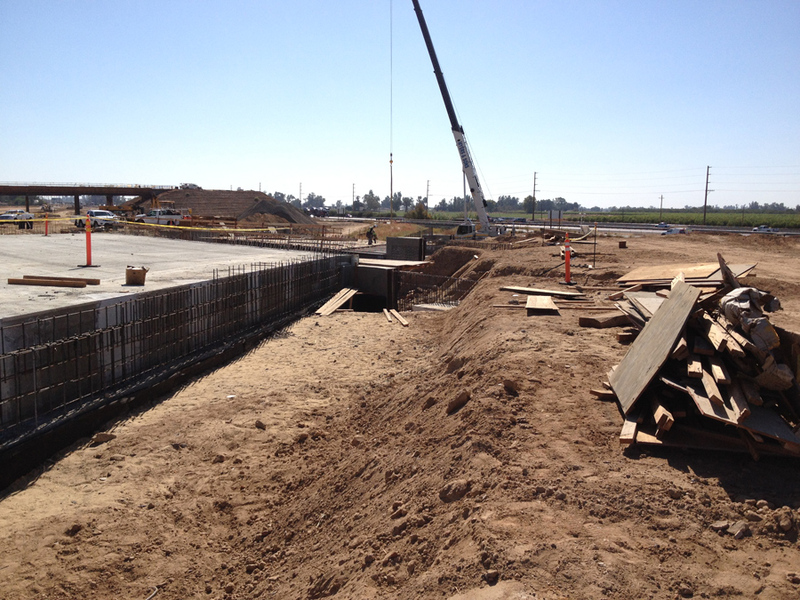 Myers and Sons Construction, LP was awarded this project by Granite Construction as a sub-contractor for the County of Merced. 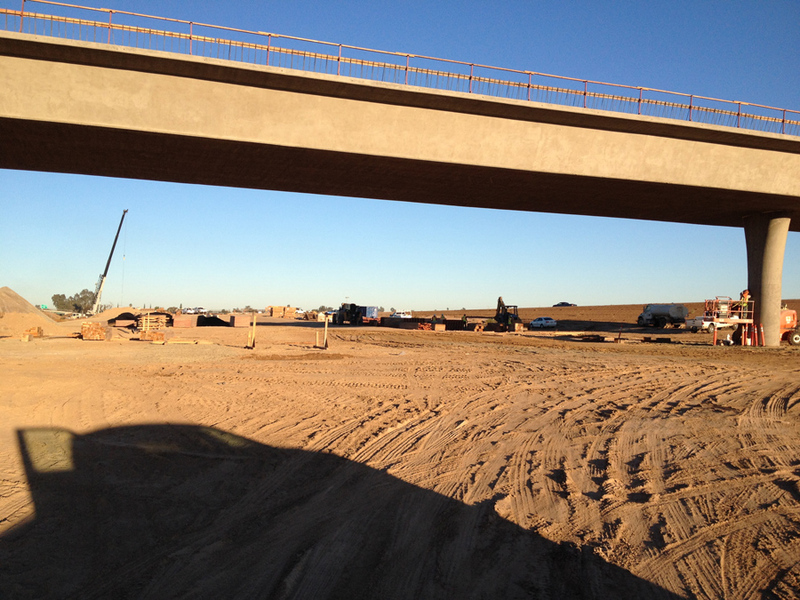 Our main scope of work for this project was for the structure items, pump station and concrete pavement which included demolition of three bridge structures, demolition of a veterinary clinic and 6 houses, 2,541 CY of structure excavation, 3,621 CY of structure backfill, 7,420 CY of lean concrete base, 23,100 CY of jointed plain concrete pavement, installation of 18,000 lf of steel piling, construction of six bridge structures, bridge barrier rail, slope paving, double box culvert extensions, storm water pumping station with a linear radial device, architectural treatment, concrete staining, and anti-graffiti coating. 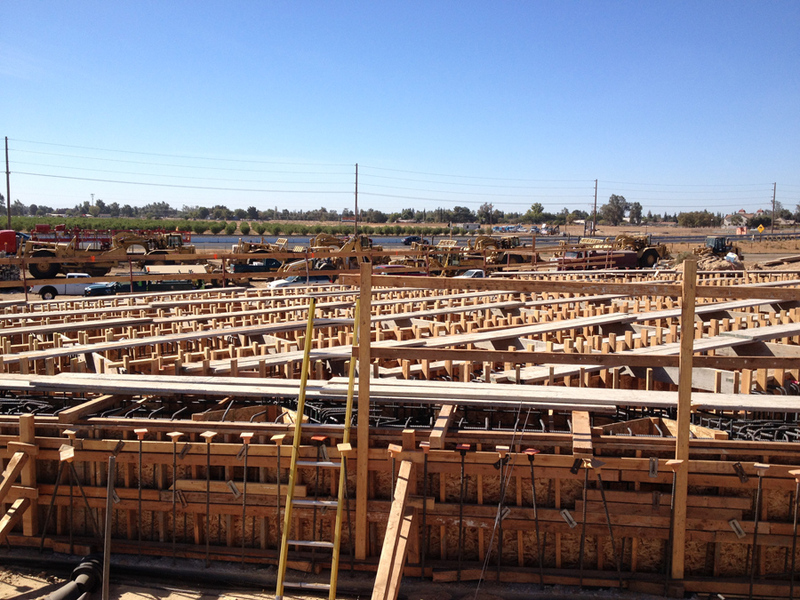 Due to the staging and timing of the project Myers and Sons Construction, LP designed our falsework for four of the bridges to fully span Canal Creek so work operations could continue during the winter months and alleviate environmental impacts to the creek. 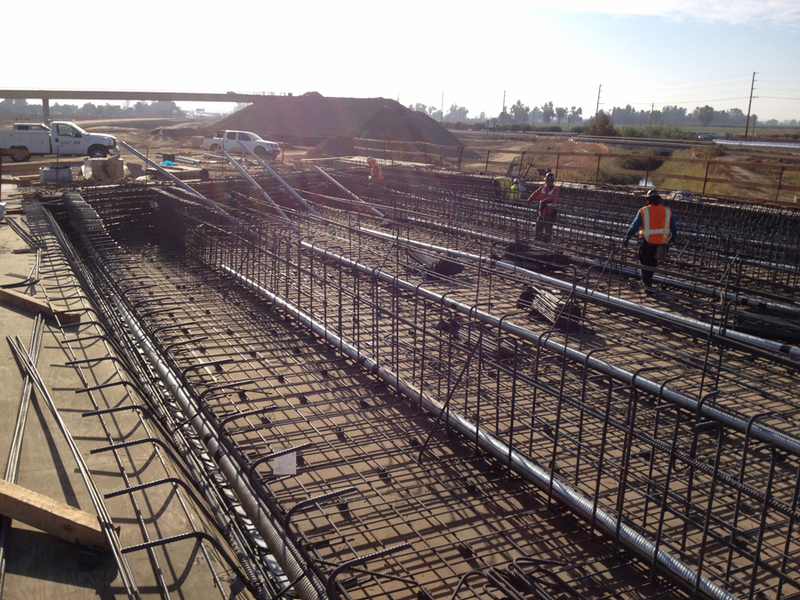 The majority of the concrete for the lean concrete base and jointed plain concrete pavement was produced from an on-site batch plant which dramatically increased productions and allowed for tighter quality control and superior finished product. 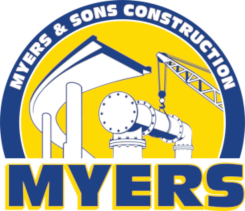 Due to Myers and Sons Construction, LP’s experience, planning, and fast-track approach to our portion of the project it is anticipated that the project will be completed well ahead of schedule.